In my opinion, John received the Revelation prior to AD 70, to encourage and prepare the Church for the events leading to the vision's imminent fulfillment. I believe therefore, Christ's second coming described in the Revelation took place during the ‘great and the dreadful day of the Lord’ in AD 70. On that 'day' of judgement, Old Covenant Israel ended with the destruction of the temple and Jerusalem; the remaining survivors of the Jewish nation were enslaved and dispersed throughout the Roman Empire. All the Lord's promises to Old Covenant Israel were fulfilled by AD 70, with the establishment of the New Covenant Age. 'We, therefore, do not venture to affirm anything with certainty respecting the name of antichrist. For were it necessary that his name should be clearly announced to the present age, it would have been declared by him who saw the revelation. For it has not been long since it was seen, but almost in our own generation, about the end of Domitian’s reign.’ (Irenaeus, Against Heresies). I fail to understand why most scholars today confidently date the Revelation around AD 95 based on the above quote. The source of the statement is from a Latin translation, which does not instil confidence in its accuracy. I can only conclude it accommodates their 'end times' theory. 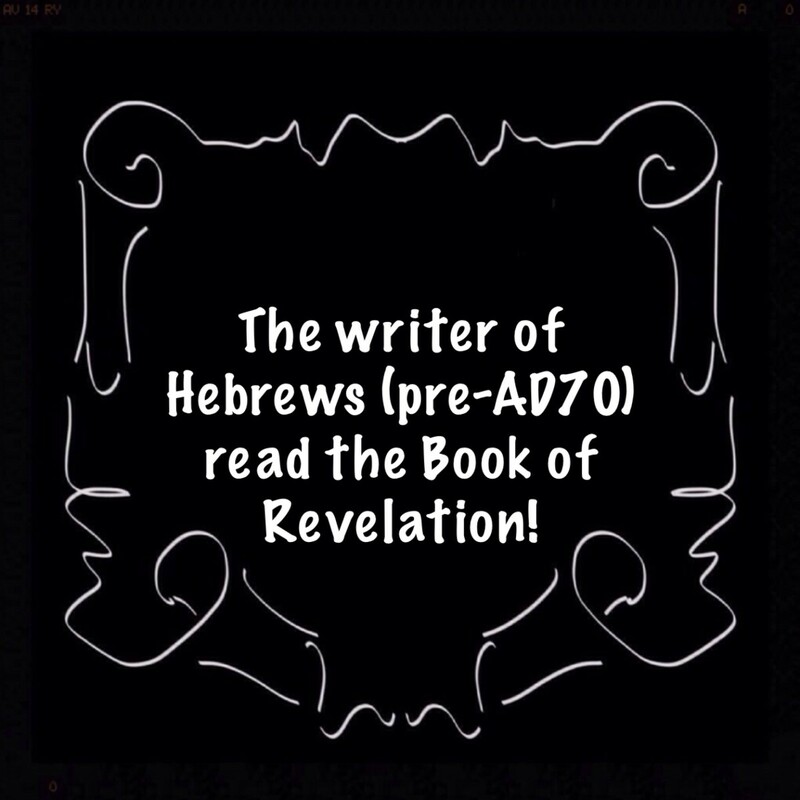 The writer to the Hebrews, AD 61-63 (Halley), quoted and alluded to phrases unique to the Book of Revelation. Jas 1:12 KJV Blessed is the man that endureth temptation: for when he is tried, he shall receive the crown of life, which the Lord hath promised to them that love him. Rev 2:10 KJV Fear none of those things which thou shalt suffer: behold, the devil shall cast some of you into prison, that ye may be tried; and ye shall have tribulation ten days: be thou faithful unto death, and I will give thee a crown of life. 'the Lord hath promised' The Epistle of James AD 60 (Halley) contains the only reference to the Revelation’s 'crown of life'. James referred to the promise of Jesus to the Church at Smyrna! Rev 2:14-15 KJV But I have a few things against thee, because thou hast there them that hold the doctrine of Balaam, who taught Balac to cast a stumblingblock before the children of Israel, to eat things sacrificed unto idols, and to commit fornication. 15 So hast thou also them that hold the doctrine of the Nicolaitans, which thing I hate. The dilemma troubling the Revelation’s Church at Pergamos was the same issue addressed in the epistles of Peter and Jude. Peter even included Asia amongst others on his mailing list...1 Peter 1:1. He wrote that some were ‘following the way of Balaam’ which was precisely the charge against the Nicolaitans in the Revelation! This proves the Revelation is not a 'stand alone' book in the Bible; it played a significant part in the pre-AD 70 Church. ‘and one is’ John wrote in the present tense, Nero was ruling at the time John wrote the Revelation. 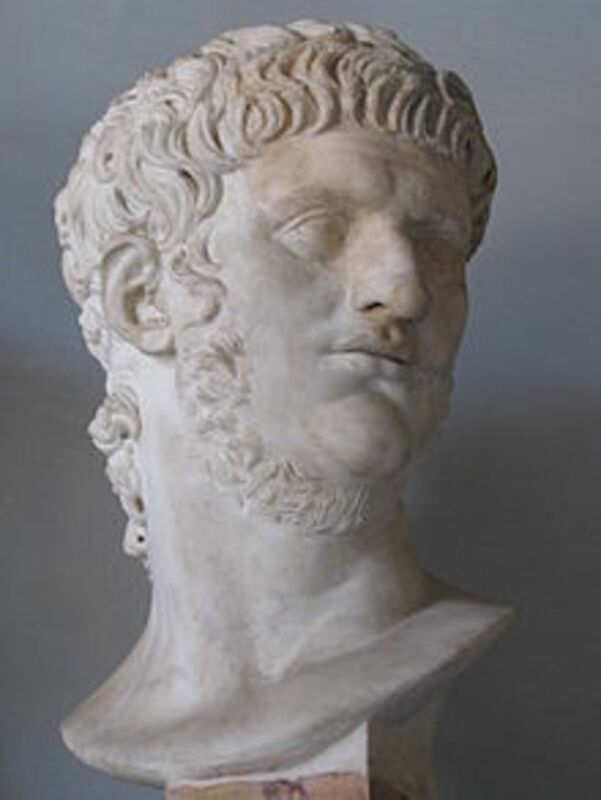 Nero was Roman Emperor from AD 54-AD 68. ‘the other is not yet come; and when he cometh, he must continue a short space' Galba ruled only a matter of months. He was the first of the 'year of the four emperors' in AD 69, which was a time ‘of wars and rumours of wars’…Matthew 24:6. Rev 11:1 KJV And there was given me a reed like unto a rod: and the angel stood, saying, Rise, and measure the temple of God, and the altar, and them that worship therein. It has been suggested by those who promote the AD 95 date of the Revelation that the temple in John's vision was not Herod's temple, since it was destroyed in AD 70. Nevertheless, it is interesting to note John's reference to the Court of the Gentiles, which was an extravagant addition, commissioned by Herod. Therefore, it is likely John saw Herod's temple in the Revelation. 'to scatter the power of the holy people’ Daniel prophesied a sign of the end Old Covenant Israel would be the dispersion of the nation. History records that catastrophe occurred in AD 70. 'forty and two months' Daniel also prophesied it would be accomplished during ‘a time, times, and an half', which most commentators agree that in prophetic language a ‘time’ is one year, ‘times’ is two years, and ‘half’ is half a year, equivalent to forty-two months. During the Olivet discourse, Jesus foretold the events leading to the destruction of the temple, Jerusalem, and the dispersion of the people in AD 70. He also taught this national calamity was the fulfillment of Daniel's prophecy in Daniel 12:7. Matthew 24:15 ‘The abomination of desolation - This is a Hebrew expression, meaning an abominable or hateful destroyer. The Gentiles were all held in abomination by the Jews, Act_10:28. The abomination of desolation means the Roman army, and is so explained by Luk_21:20. The Roman army is further called the “abomination” on account of the images of the emperor, and the eagles, carried in front of the legions, and regarded by the Romans with divine honors. Spoken of by Daniel the prophet - Dan_9:26-27; Dan_11:31; Dan_12:11, see the notes at those passages. Standing in the holy place - Mark says, standing where it ought not,” meaning the same thing. All Jerusalem was esteemed “holy,” Mat_4:5. The meaning of this is, when you see the Roman armies standing in the holy city or encamped around the temple, or the Roman ensigns or standards in the temple. Josephus relates that when the city was taken, the Romans brought their idols into the temple, and placed them over the eastern gate, and sacrificed to them there, “Jewish Wars,” b. 6 chapter 6, section 1. The Revelation predicated the Lord's imminent return. So why do most Bible commentators ignore or misinterpret what is clearly in the Scriptures? 'Ye shall indeed drink of the cup that I drink of' Jesus in His reply to James and John explicitly predicted their martyrdom. Did Jesus get it wrong? Of course, He did not. Most theologians assign all John's writings to AD 90-95. If scriptural evidence for a pre-AD 70 date were available, academic credibility would be seriously in question. Topography provides an irrefutable argument for the pre-AD 70 date of John's Gospel. The Jewish people suffered the ultimate calamity when the temple and Jerusalem were destroyed in AD 70. Additionally, the nation suffered defeat, devastation, and humiliation; the survivors were dispersed and enslaved throughout the Roman Empire. Yet, John failed to mention the fulfilment of Christ's Olivet prophecy! Speaking more specifically on John's Gospel, Robinson wrote ‘there is nothing that suggests or presupposes that the temple is already destroyed or that Jerusalem is in ruins’. 'If I will that he tarry till I come' Many Futurist scholars misrepresent John 21:22 in a vain attempt to support their view that John lived into old age and wrote the Revelation in AD 95. If Jesus has not yet returned and John has died, then Jesus' prediction failed. 'Ye shall indeed drink of the cup that I drink of' Jesus in His reply to James and John explicitly predicted their martyrdom. Did Jesus get it wrong? Of course He didn't. Personally, I believe it is reasonable to suggest John did not live to old age, but suffered martyrdom during the 'great tribulation' prior to AD 70. Do you believe the Book of Revelation was written before AD 70? Why would it be necessary to unveil the Revelation after the New Testament was complete? …Acts 17:6; Romans 1:8; Romans 16:25-26; Colossians 1:5-6. I appreciate your service and your positive approach to life, having read your profile. On this topic, I have a very different understanding of the Scriptures. 2 years ago from Horsham, PA. The Holy Father gave the Revelation to his son Jesus and then was passed to his angel to finally be given the vision to John; But which John? We could read in the Book of Acts chapter 13 that John the Apostle got near Paphos, Cyprus with Paul but that was not the isle of Patmos which is in the Argean Sea west side of Greece 377 miles away from each other. This distance was too far for neither of them to travel. But i can assure to you that it was John the Baptist and not John the Apostle.Why this revelation was given to John the Baptist and not to John the Apostle? Simple! It could not happen 60 years after Jesus Christ crucifixion because everything was revealed to Jesus when the heavens were open during his baptism by John the Baptist at the Jordan river and there was no need for God the Father to revealed anything to his son after he was raised to heaven to watch and intercede over us at his right hand side. Meanwhile after Jesus baptism John the Baptist was in southern Perea when he was arrested and then he was taken immediately to the prison of the fortress of Machaerus in where he was incarcerated until his execution by decapitation. But one thing is for sure that his spirit was not decapitated in order to be that voice that cries in the wilderness to preach to the souls that are in Jerusalem that city of peace where people go after they die. When John the Baptist said that he was in the spirit he was already decapitaded and he has been buried and is dwelling in earth in that spiritual isle where his body is turning to dust after his killing by Herod the King, because that is what Patmos in Greek means "of my killing" which means that John the Baptist is in that place among the dead where he was killed. This is describing a spiritual visionary experience that took him to the place of his killing "Patmos" but not to that literal Island so far away where he never went in flesh. Indeed, the whole Book of Revelation is made up of symbolic and allegorical teachings which must be carefully interpreted spiritually in order to understand it. And God also tells us in the same chapter in verse 15 what an isle means for him. The Isle is that place where the body of a person turned into dust while the spirit goes to that celestial place to rest in peace called Jerusalem. Is simple to understand if you do not mix carnal things and places from Earth (Judea the land of the Living), with spiritual things and heavenly places like the ones we find in that Book of Revalation which is a spiritual book that is intended to prepare you for that spiritual world. And for this other reason it could not be John the Apostle because he was not a prophet and also all religions including the Catholic Church acknowledge that he was not killed by the Romans and the Scriptures are in support of this fact so let us read what the knowledge of the Internet has to answer if we ask; Why was John exile to the island of Patmos? "No reason is given for John being exiled to Patmos, in fact neither the Book of Revelation nor any other part of the Bible actually says that he was exiled to Patmos at all... Modern scholars recognise that the author of Revelation clearly was not the author of John's Gospel and was most unlikely to have been the Apostle John. To differentiate John of Revelation from John the Apostle, he is now frequently referred to simply as John of Patmos. This recognises that the Apostle was not really exiled on Patmos because he preached the Gospels to the people till the end of his life; but this John is a controversial person not confirmed by any serious document until now. Before during the second century in times of persecution, it was decided by some people of that era people who assumed that the author of Revelation must have been the Apostle John, merely because of the coincidence of names." The fact is and is not merely coincidence that the description of that John in the first chapter of the book of Revelation is the same description we find in the first chapter of the book of John describing John the Baptist. The Word of God comfirms this! 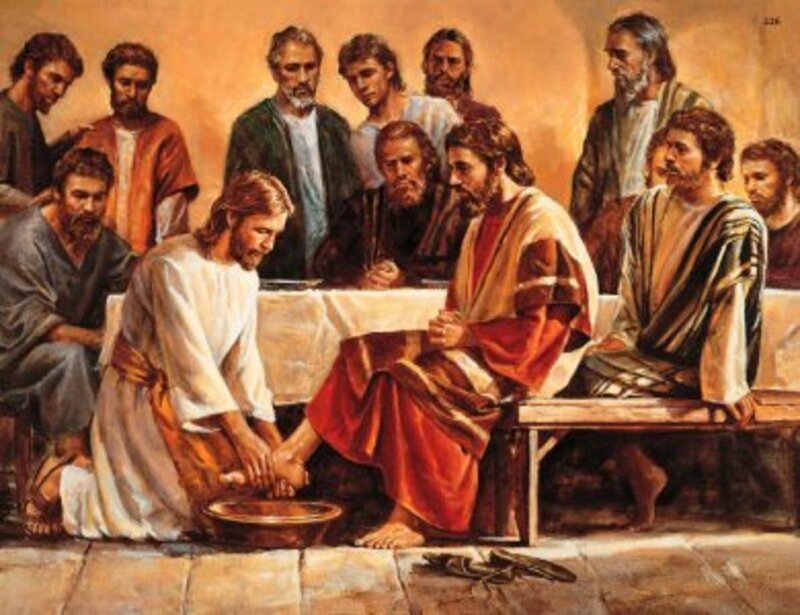 Matthew 14:1-3 At that time Herod the tetrarch heard of the fame of Jesus, And said unto his servants, This is John the Baptist; he is risen from the dead; and therefore mighty works do shew forth themselves in him. For Herod had laid hold on John, and bound him, and put him in prison for Herodias' sake, his brother Philip's wife. John1:7 The same came for a witness, to bear witness of the Light, that all men through him might believe. John1:8 He was not that Light, but was sent to bear witness of that Light. John1:15 John bare witness of him, and cried, saying, This was he of whom I spake, He that cometh after me is preferred before me: for he was before me. This instructions by the Spirit of God were given to John the Baptist! According to Halley the Church at Thessalonica was established by Paul around AD 51, ten years after the death of Caligula who ruled from AD 37 to AD 41. Many believers would have remembered the evil perpetrated by the tyrant, a 'forerunner' of Nero, AD54 to AD 68. In my opinion, it's unlikely they considered Caligula was Paul's 'man of sin' and had missed the coming of the Lord. Certainly, the purpose of Paul's epistles was to end confusion caused by false teachers concerning the resurrection and the Day of the Lord. Thank you for your comment, it is a wonderful source of encouragement that my Hubs have been useful. Thank you for your comment, it is a source of encouragement to me. G'day. Wonderful work you have done to present a first century model so clearly and carefully. Your wide range of sources and the craftsman-like way you have placed each piece of evidence in its own setting and in the whole is very scholarly. Thank you very much. Exactly, taking that into account the Book is not as difficult to understand as many scholars claim. Here is a secret that most churches don't teach when they teach their last days teachings while quoting from the book of Revelations. The book was written for the believers who were alive when the book was written. Thank you for your comment. It is a source of encouragement to me. The Lord bless your Church. Excellent...We are preaching these in our church, in Chennai, India. God Bless you Abundantly!!! Having your first Hub featured is an excellent start, this means it meets HubPages standard and given priority. Well done! An opinion is a personal view open to discussion, which is far better than intransigent dogma. Even if someone could be raised without opinionated rhetoric, that person would still fall short of the mind of God. The problem with opinions is just that. They are opinions and preconceived notions, which can by true or not. No one has an original thought but God, unless you raise someone without teaching them any opinionated rhetorics. I will reveal something essential in showing that the earliest sections of Revelation were NOT written until the time of at least 66-70 CE. For now, I’m going to just reveal the four horsemen from Revelation 6. In order to do this I will need to briefly describe a very important historical event, the Roman-Parthian war of 58-63 CE. This was a war fought between the Roman and Parthian Empires over the control of Armenia, a vital buffer state between the two. Armenia had been a Roman state since the time of Augustus but in 53 CE, the Parthian king Vologases I put his brother Tiridates on the Armenian throne. Nero became emperor in 54 CE and decided to react to the Parthians in trying to claim Armenia. Nero sent his general Corbulo to fight the Parthians in Armnenia. In 58 CE, the battles began long the Armenian/Roman border. The Romans attacked and destroyed the Armnenian capitol city of Artaxata. Tiridates withdrew his troops and abandoned the city as it was burned to the ground. The Romans next attacked the Armenian city of Tigranocerta and they too surrendered to the Romans. Now, the Romans put their own Tigranes VI on the Armenian throne. In 61 CE, Tigranes VI attacked the Parthian province of Adiabene. Now the Parthian king Vologases I got involved and fought back against the Romans. At the Battle of Rhandeia in 62 CE, the Roman generals Corbulo and Paetus were heavily attacked by the Parthian and Armenian forces. A treaty was made. By this treaty, the Romans were forced to leave Armnenia and to build a bridge so Vologases could pass over in triumph. The Roman weapons were also confiscated. Rome made an agreement that if Tiridates would come to Rome to be crowned king of Armenia by Nero himself then further war would be averted. Tiridates agreed to travel to Rome to be crowned king by Nero in 66 CE. Nero looked at it as a major peace treaty and a great accomplishment in establishing peace between the Roman and Parthian Empires. This peace between the two would last for fifty years. WHITE HORSE: The white horse is the Parthian Empire. The Parthians were well known for their white horses. The Parthians main weapon was a bow. They were the only mounted archers in the first century CE. The Parthian Tiridates was “given a crown” when he was crowned by Nero in 66 CE (see my description of the Roman-Parthian war above). RED HORSE: The red horse is the Roman Empire which was notorious for making war, taking peace from the earth and killing. 66 CE was the start of the Roman-Jewish war. During the years of 66-70 CE, this Roman red horse killed thousands and thousands of Jews. ”That they should kill one another” is most likely referring to the year of 68-69 CE (Year Of The Four Emperors) when the Romans fought each other in a civil war after Nero died. Red signified the color of blood that the Romans spilled. Red was the color of war. The Romans even named the planet Mars after their god of war. The planet Mars appears red when viewed from earth. The helmets of Roman centurions and higher officers were also adorned with a crest of red dyed horse hair. Red was the color worn by Roman soldiers -red cloaks for the officers, red tunics for the soldiers. Red represented blood and the color was meant to intimidate the enemies of the empire. All of this and the blood shed during the years of 66-70 CE is what the red horse signifies. The Romans were the greatest military power on the earth at this time. The sword was a symbol of their power. The Greek term “machaira megalee” was used for this “great sword”. The Jews looked upon the death of their fellow Jews from 66-70 CE as a great sacrifice. A “machaira” was a type of sacrificial blade. “Megalee” then was a “great” sacrifice. BLACK HORSE: The black horse is the famine that struck the Jews during the year 70 CE when their temple was being destroyed by the Romans. You can read for yourselves what Josephus had to say about this famine in 70 CE from his Jewish War Book 5. The color black was the Roman color of death and mourning. In Roman poetry, death was called the hora nigra, the black hour. Scales or balances were associated with the way that bread/food would have been weighed during a famine. Ezekiel 4:10 states “And thy meat which thou shalt eat shall be by weight. Thou shalt drink also water by measure.” The phrase “see thou hurt not the oil and the wine” suggests that the black horse's famine is to drive up the price of grain but leave oil and wine supplies unaffected. One explanation for this is that grain crops would have been more naturally susceptible to famine years or locust plagues than olive trees and grapevines, which root more deeply. And this is the earliest written section from the book of Revelation. There is no way that Revelation was written until at least 66-70 CE. Revelation then goes on to describe events occurring much later in the Roman world but that’s for another post. Thank you for visiting my Hub. I agree it was not the best start to a comment. I replied for the benefit of my readers. I would give the time of day to anyone who calls a preterist an idiot. Quote 'You said; "I decided to use the Scriptures to support my view that The Revelation was written before AD 70. After all, the Scriptures are the believers final authority." Please tell me your source of information. I meant Rev 1-3 address the seven churches and Rev 4-7 are the oldest sections of Revelation. There really should be a way to edit posts here for longer than 5 minutes. Tacitus was writing about Laodicea about 50 years after 61 CE. He was about 5 years old when the earthquake hit that city. It's difficult to believe that the city could recoup in just a few years. This is a minor point compared to the rest of Revelation though. You said; "I decided to use the Scriptures to support my view that The Revelation was written before AD 70. After all, the Scriptures are the believers final authority." I cannot even begin to tell you how wrong this is. By doing this, you are already set up to come up with a completely fallible conclusion. First of all, Jesus did not exist as a real historical person and the gospels were not written until a lot later than you think. They were not written until AFTER Marcion. Paul's epistles were not in circulation and were possibly written by Marcionites during the 120's CE. Mat 24:15 "When ye therefore shall see the abomination of desolation"
This one line is the biggest clue on when Matthew and Mark were written which was AFTER the Bar Kokhba revolt of 132 CE. The "abomination" was Hadrian building a temple to Jupiter on the old Jewish temple mound. There is NO evidence for the gospels until AFTER 132 CE. 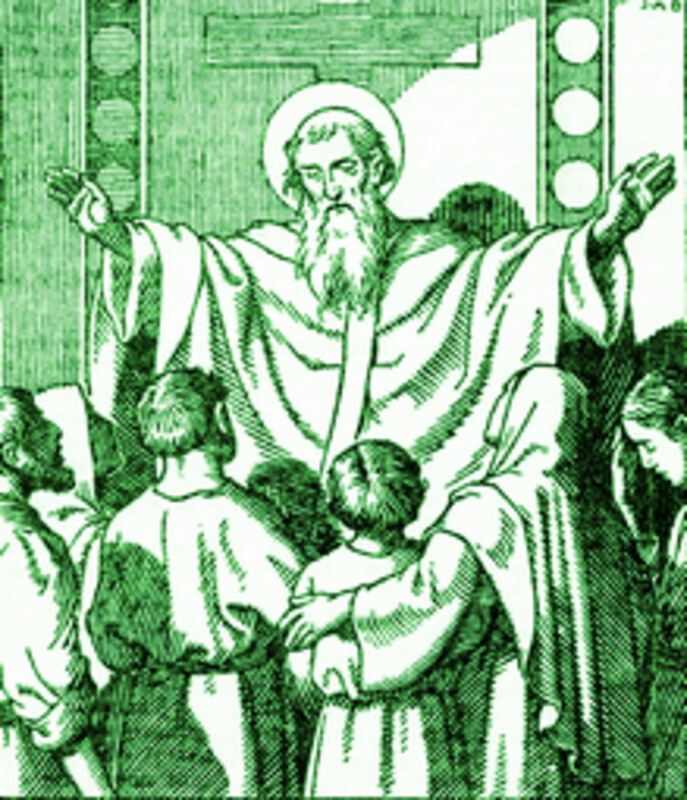 Irenaeus and Eusebius were both highly dubious and fallible and cannot be trusted one bit, just like Acts of the Apostles (so much fabricated history). Luke and Acts were written as a response to Marcion. About Revelation; The book of Revelation was NOT written at one time by a single author. Different sections were written at different times. For example, chapters 1-5 were written at a later date than chapters 6-14. Chapters 1-5 address seven established Christian churches in Asia Minor. There were no established Christian churches anywhere until the early second century CE. Marcion established churches throughout Asia Minor in the 120s CE. Revelation 6 and 7 are the oldest texts from Revelation. They were probably written before 70 CE but they are not describing anything about Jesus. Revelation 6 is describing ROME and it's first six kings. The six seals are about Roman kings. They are the first six kings of Rome from Julius Caesar to Nero. Revelation 7 is describing the one year reprieve from the Jewish revolt in 69 CE after Nero died. The 144,000 are the dead Jews (12,000 x 12 tribes) that were already killed during the initial revolt of 66 CE. Revelation 8 is describing the seventh seal continuing from Revelation 6. It also describes the Vesuvius eruption in 79 CE. Hail and fire mixed with blood hurled down to earth is about the Vesuvius eruption. If the author got his account from Pliny the Younger then this was not written until 96 CE, the same time Irenaeus talks about. Revelation 9 is describing the arrival of Vespasian's troops in 67 CE after the Jews tried to take of the city of Ashkalon. All the insect references here seem to have been influenced by reading Pliny The Elder's "Natural Histories" from around 77 CE. 42 months (lunar) is the time period from 67-70 CE. Revelation 11 is describing the destruction of the Jewish temple in 70 CE. "They will trample on the holy city for 42 months." Revelation 12 is describing an eclipse that occurred in 71 CE. It's full of astrological interpretations that signal the birth of Jesus (not real birth). The constellations Andromeda (representing the mother of Jesus) and Hydra (dragon) appeared during this 71 CE eclipse and this is how the author is describing the origins of Jesus. The sun drives the constellation Andromeda away and she gives birth to a "male child (Jesus) who will rule all nations". This is a real eclipse from 71 CE, look it up. There was no Jesus before 71 CE. Revelation 13 is about the possible return of Nero from the dead and about Titus and his involvement in the destruction of the temple in 70 CE. It describes "Judaea Capta". The number is NOT 666, it's actually 616 (papyrus 115). Revelation 14 is about the Bar Kokhba revolt from 132 CE. This is an entirely different author than the earlier parts of Revelation. "Babylon" is Rome. The "winepress" is Hadrian's vineyard. "Blood to horse's bridal" is from the Jerusalem Talmud which makes this same reference when talking about the Bar Kokhba revolt. 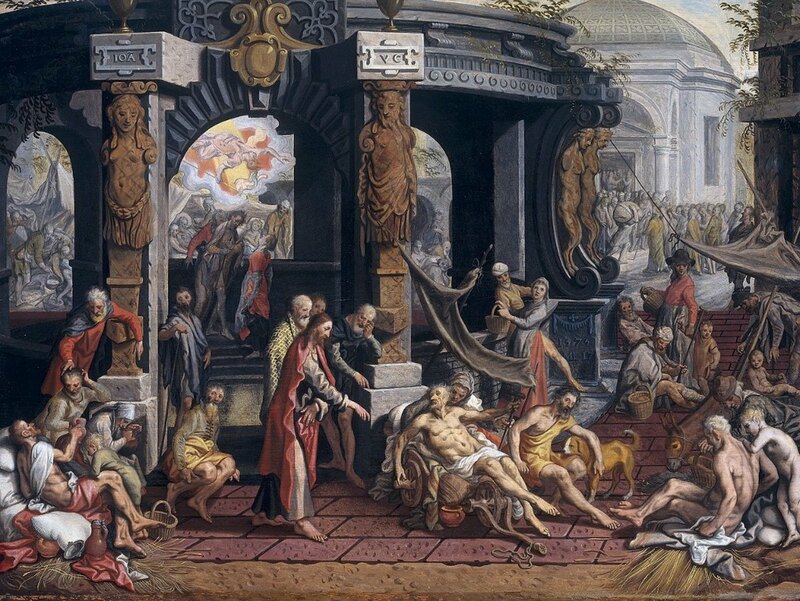 Revelation 16 is about the Antonine plague that occurred from around 165 -180 CE. 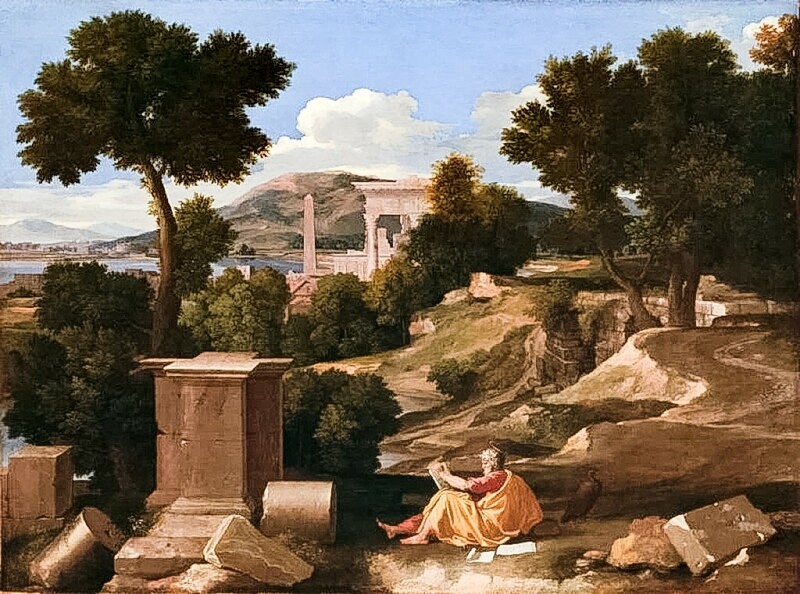 It also describes another Vesuvius eruption in 172 CE. Revelation 17 describes seven hills of Rome and 18 Roman kings from Julius Caesar to Commodus. It could not have been written until after 192 CE. Revelation 18 describes the aftermath of the Antonine plague and still hoping for the fall of Rome. Revelation 19 is cheering for the fall of Rome after Commodus died in 192 CE. Revelation 20-22 start making excuses for why Rome has not fallen. It was believed that Rome would fall after Commodus but then came Septimus Severus so excuses had to be made that they really were not too sure anymore when Rome would fall. Revelation is complicated. It was NOT written by one man and it certainly was NOT written at the same time. It was most likely even added to and altered by Irenaeus himself. With a final version coming out around the time of Irenaeus, there can be no way to say it was ALL written before 70 CE. Just NO way. Revelation is NOT about prophecies that can be applied to our modern times at all. These were prophecies that applied during the times that these people were living in and that's it. These people desperately wanted to see the fall of Rome. In my opinion, The Revelation was written prior to AD 60, my Hub explains why. Your statement regarding Laodicea supports my reason for writing this Hub. Due to conflicting accounts by the Church Fathers and secular historians, I decided to use the Scriptures to support my view that The Revelation was written before AD 70. After all, the Scriptures are the believers final authority. However, I will respond to your comment. "One of the most famous cities of Asia, Laodicea, was in the same year overthrown by an earthquake and without any relief from us recovered itself by its own resources" (Tacitus, Annals, 14:27). Laodicea was one of the richest cities in the Roman Empire. It refused aid from Rome, being rebuilt by the existing wealth of its inhabitants, which was obviously not lost during the earthquake. Substantial progress must have been made, because an amphitheatre was dedicated by a wealthy citizen to Emperor Vespasian in AD 79. If the city lay desolate, why build an amphitheatre? Christians continued to dwell in Laodicea after the earthquake and John's letter to them was applicable. Anyone here who thinks Revelation was written before 70 CE has most likely not even read Revelation and certainly has no knowledge of the history of the area of these seven churches in Asia. Rev3:17 "Thou (church of the Laodiceans) sayest, I am rich, and increased with goods." It is a FACT that Laodicea was DESTROYED by an earthquake around 60-62 CE. Yet, in Rev 3:17 they are suddenly WEALTHY? Have you people lost your minds? There is NO way that Laodicea was a wealthy community before 70 CE after being wiped out in 60-62 CE. I look forward to reading the result of your research. Searchinsany let me brush up on my Roman history for a few days and I will write back. One thing I am certain of is these numbers are exact and as such they will require an exact beginning reference date(s) to count from. Added to the soup is the 2300 days. Incidentally 1260 is very significant to the Muslims as they expected their Messiah to appear in the year 1260 A.H. which is a Muslim (lunar) calendar. Thank you for your comment. Would you like to go first? lol. My understanding is the 1260 days began in early AD 67, when Vespasian began his campaign against the Jews. Taking into account my boast to remain silent when the Scriptures are silent, I feel I will be pushing the boundary of private interpretation on the 1290 and 1335 days. I have used history in my Hubs previously, providing I also had Scripture interpreting Scripture. However, the best explanation I have read is, the 1290 days began when the Jews refused to offer further sacrifices in the temple for Caesar in AD 66, until Titus had gathered and deployed his army for the siege. The 1335 is the total number of days from the Jewish refusal to offer sacrifices in AD 66, until the destruction of the temple in AD 70. I am interested to know your opinion on this subject. My Hub 'Daniel's '70 Weeks' Prophecy is History!' may be of interest. Searchinsany, reading up on 1260 days here, in your view when did the commencement of these 1260 days exactly start? Furthermore, what important events happened on the culmination of 1290 days and of 1335 days? Please provide historical documentation where possible. Thank you for your comment, it is a real source of encouragement. Thanks for your research and great authorities. I'll put a link to it on my articles. You chosen impressive and credible authorities. I was put on to a pre-AD 70 date about 1989. The harlot city has GOTTA BE Jerusalem. (Everywhere you turn in the OT Israel as 'the harlot' jumps out at you, especially Ezekiel 16, 23, Hosea 1,2,3,4,5,6. This single idea revolutionized my thinking and has informed my Preterist context of the OT and NT prophets. Thank you for your comment. It is encouraging to know that my Hub has been helpful. It has been 7 months now since I read this hub, and I have to say that I am more convinced now that the preterist view of the book of the Unveiling (revelations) makes more sense than the futuristic view. Christians need to challenge their church pastors teachings more often than just blindly believing everything they say. Likewise, and it has been a marvellous experience. I had to unlearn everything taught to me by the church and start a new. My findings in scripture now are wonderful. Exactly my point, it never ceases to amaze me that I was a Christian of 34 years standing before I was confronted with this view. I was oblivious to the simplicity of the 'imminence' statements in Scripture, perhaps because I was convinced by my traditional futurist teaching that seemed the most plausible. Rev 1:1 The revelation from Jesus Christ, which God gave him to show his servants what must soon take place. He made it known by sending his angel to his servant John, 2 who testifies to everything he saw—that is, the word of God and the testimony of Jesus Christ. 3 Blessed is the one who reads aloud the words of this prophecy, and blessed are those who hear it and take to heart what is written in it, because the time is near. "what must soon take place" and "the time is near" This alone indicates that the prophecy is to be soon fulfilled, not 2000 years later. In Mark 10: 37-39 Jesus didn't specifically mention 'baptism of suffering' or 'cup of suffering'. In my opinion, taken in context Jesus had suffering and death in mind. 22 Jesus answered, “If I want him to remain alive until I return, what is that to you? You must follow me.” 23 Because of this, the rumor spread among the believers that this disciple would not die." The LDS church, as well as others, teach that Christ has not yet returned, hence St. John is still believed to be walking amongst us today. Sad...very sad. An apology, having read your comment again I now understand the point you were making on Matthew 20:1-16. A response to my request on ‘The End Times: Did Jesus Fail to Keep His Promise?’ would be welcome. I agree with your understanding of John 21:22, but for some reason many today use this verse to justify their belief that John lived into old age. My ‘claim’ for believing that John may have been martyred is based on the words of the Lord Jesus Christ. Jesus got it right about John’s brother James who was the first Apostle to be martyred, did He fail regarding John? Quote ‘…why does not church history accurately state so if they have stated all the other matyrs accurately…’ In my opinion Church history is helpful but cannot be taken as completely accurate and dependable, we can only depend on the inspired Scriptures and when they are silent we should be silent, anything else is speculation. Once again you quote Scripture, this time Mathew 20:1-16 but don’t explain why, and I don’t understand your point. You did this on my Hub ‘The End Times: Did Jesus Fail to Keep His Promise?’ when you quoted Matthew 6:23, but did not respond when I asked you to explain. Christ returned A.D.70 spiritually. Or is He a liar? If Christ has not returned does that mean John is still alive? Jesus was telling Peter that John would still be alive when Christ's second coming happens. Matthew 3:10... I agree entirely with your understanding of this Scripture. John 21:20.... Can you elaborate more on this verse, I am not sure of the point you are making here. Matt 3: 10 The ax is already at the root of the trees, and every tree that does not produce good fruit will be cut down and thrown into the fire. If you learn its spiritual message you learn that John was warning the Jews that Rome is already in Jerusalem and if any Jew does not repent, they will be killed and their bodies be thrown like common criminals in the valley of Gehenna., and this is exactly what happened A.D.70. In Matthew 24 Jesus prophesied the destruction of the Temple; the disciples asked Him when will this happen, what will be the sign of His presence and the end of the Age. Jesus said ‘…This generation shall not pass, till all these things be fulfilled…’ In AD 70 His prophecy was fulfilled exactly as He described. In my opinion, the destruction of the Temple, Jerusalem and the dispersion of the Jews in AD 70 was the end of Old Covenant Israel. Between AD 30 and AD 70 there was a transition period in which the Old Covenant passed away and the New Covenant was established. All the predictions Jesus made in Matthew 24 were fulfilled during that period. Jesus said the great tribulation during the lifetime of the disciples’ generation ‘…such as was not since the beginning of the world to this time, no, nor ever shall be...’ Since Jesus said it, I believe it. The majority of my Hubs explain why I believe this ‘End Times’ view. In this Hub I explain a little as to why I believe Nero was the ‘Man of Sin’. Regarding the Two Witnesses and the False Prophet I could only speculate, and I won’t do that. I would rather admit that I am uncertain. When I ‘left behind’ Dispensationalism I also left behind wild speculation. I resolved that to the best of my ability I would ‘speak when the Scriptures speak and be silent when the Scriptures are silent. When I was challenged to re-examine the following Scriptures I realized that either Jesus ‘got it wrong’ and gave false hope to the 1st century Church suffering horrendous tribulation, or all was fulfilled as He predicted. I decided that since Jesus said it, I believe! From that moment I have been on an exciting journey through the Scriptures that has dramatically improved my Christian viewpoint. Mat 16:27 YLT `For, the Son of Man is about to come in the glory of his Father, with his messengers, and then he will reward each, according to his work. Php 4:5 KJV Let your moderation be known unto all men. The Lord is at hand. Jas 5:8-9 KJV Be ye also patient; stablish your hearts: for the coming of the Lord draweth nigh. 9 Grudge not one against another, brethren, lest ye be condemned: behold, the judge standeth before the door. Rev 1:3 KJV Blessed is he that readeth, and they that hear the words of this prophecy, and keep those things which are written therein: for the time is at hand. Rev 22:10 KJV And he saith unto me, Seal not the sayings of the prophecy of this book: for the time is at hand. My article entitled ‘The End Times: Did Jesus Fail to Keep His Promise?’ elaborates on the above Scriptures. If you can spare the time to read my ‘End Times’ Hubs I am willing to clarify any questions you may have. What about the 2 witnesses, the false prophet? so that is still to be fulfilled! a) Suffering, affliction, persecution and tribulation. b) The imminent coming of Christ. c) The imminent wrath upon the wicked. Paul wrote to believers to strengthen their faith during severe tribulation. He assured them of the imminent Coming of Christ with wrath and judgement on their persecutors. False teachers caused some to be confused by claiming that the Day of the Lord had already taken place. Paul reminded them that although Christ’s return was at hand, certain things would occur first; apostasy and the revelation of the ‘Man of Sin’. In my opinion the verses in question referred to the Man of Sin, Nero Caesar. John received ‘The Revelation’ of the imminent Coming of Christ in Judgement. The purpose of the vision was to encourage the 1st Century Church during the Great Tribulation. Rev 13:14-17 YLT and it leadeth astray those dwelling on the land, because of the signs that were given it to do before the beast, saying to those dwelling upon the land to make an image to the beast that hath the stroke of the sword and did live, 15 and there was given to it to give a spirit to the image of the beast, that also the image of the beast may speak, and that it may cause as many as shall not bow before the image of the beast, that they may be killed. 16 And it maketh all, the small, and the great, and the rich, and the poor, and the freemen, and the servants, that it may give to them a mark upon their right hand or upon their foreheads, 17 and that no one may be able to buy, or to sell, except he who is having the mark, or the name of the beast, or the number of his name. Again these verses referred to the ‘Man of Sin’, Nero Caesar, who relentlessly persecuted the Saints. Thank for your comment. Welcome to Hubpages, I look forward to reading your Hubs. I also have recently come to this belief.
"" Some scholars want us to believe that this command came forth around 450 BC when the command came forth to "Finish" that which had already begun. I can not agree with that! "" Why can't you agree with proven History ? The BC date is ACCURATE. Scholars and theologians (often) are NOT prophets.
"" The longer we ponder the word of God, the more likely we will be deceived. "" "" If there really was a devil walking the earth trying to confuse us, this issue would most certainly be of great importance to him. ??? "" Good morning ... Please excuse me If I sound too bold in this comment which I feel so strongly about. This just my opinion, … understanding the timeframe comparing prophetic time against our time is paramount. Without doing so, understanding prophesy is impossible. I believe that when the Lord is speaking to a Man, God uses terms which is common to human understanding. When he said, lie on your left side for 70 days, for each day will represent a year that Jerusalem lies desolate. God could have said eat 70 apples for each apple represents a year (or any other such comparison). This is in no way comparing a day or eating an apple to the prophetic timeframe. When God gives a message to an angel, he uses terminology the angel best understands. The angel then delivers the message exactly as it was given to him. So what we are really doing is attempting to understand how angelic terminology compares to human terminology. When God says to a human, It shall be 70 years, he is speaking of 70 of our years. An angel, when interpreting visions never use the term "year" except when speaking of what a year represents to us. To an angel the phrase "Time" means 52.28 of his weeks. Now, all we have to do is to determine how many of our years is in an angelic week. The only place in scripture that makes this comparison is in Daniel 9. All we have to do now is to determine when the commandment to restore and to build Jerusalem went forth, because from that time, it shall be 62 weeks and then someone will kill the Messiah. Around 600 BC (ISIAH 44:28) God declares that Cyrus will perform this duty. In Daniel 9:23 Gabriel declares that the commandment came forth when Daniel began praying and making supplications. For ME there is no further need to "Discover" exactly when this command came forth; For it is clearly stated. Some scholars want us to believe that this command came forth around 450 BC when the command came forth to "Finish" that which had already begun. I can not agree with that! If there really was a devil walking the earth trying to confuse us, this issue would most certainly be of great importance to him. ??? The longer we ponder the word of God, the more likely we will be deceived. I believe that Cyrus gave this command exactly as God said that he WOULD. 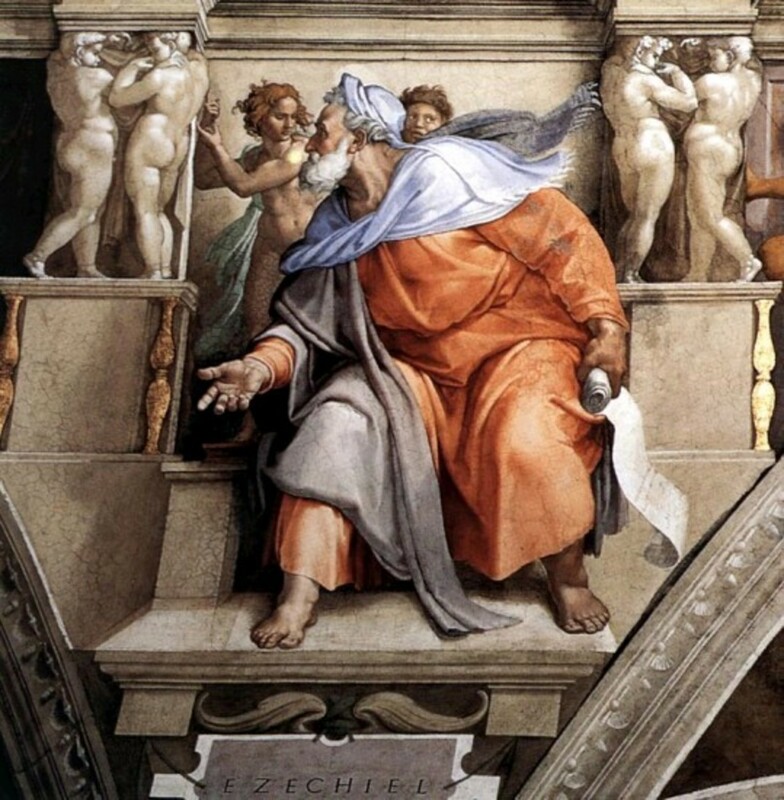 I believe the commandment went forth in 538 BC as Gabriel said that it DID. I believe Jesus is the Messiah this verse is talking about. Therefore I have no recourse than to believe 62 weeks in prophesy is equal to 568 of our years. That is, until someone shows me something that I have yet to consider. And thank you for these discussions. "And his disciples asked him, saying, Why then say the scribes that Elias must first come? And Jesus answered and said unto them, Elias truly shall first come, and restore all things. But I say unto you, That Elias is come already, and they knew him not, but have done unto him whatsoever they listed. Likewise shall also the Son of man suffer of them." My Hub 'The Last Days: Will Elijah the Prophet Really Return? explains my view on Malachi 4. What's your take on This Prophecy ??? Antiochus Epiphanes was not the abomination of desolation. Antiochus (175-164 BC) does not fit the timeline of Daniel's 70 Weeks Prophecy, the 490 years were fulfilled during the lifetime of Jesus’ generation. '...When ye therefore shall see the abomination of desolation...' Jesus spoke to His disciples and told them when they see the abomination of desolation, spoken of by Daniel the prophet, flee into the mountains. Luk 21:20-21 KJV And when ye shall see Jerusalem compassed with armies, then know that the desolation thereof is nigh. 21 Then let them which are in Judaea flee to the mountains; and let them which are in the midst of it depart out; and let not them that are in the countries enter thereinto. ‘…when ye shall see Jerusalem compassed with armies, then know that the desolation thereof is nigh…’ Jesus also told His disciples what the abomination of desolation was and when to expect it, and to flee into the mountains; His generation was eye witness to the fulfilment of the most amazing prophecy ever recorded in the Scriptures. Do you consider then that antiochus epiphanes WAS The Abomination That Maketh Desolate ? Thank you for your contribution, keep in touch so that we may compare notes. I will make a point of reading your Hubs. The little horn IS "The United States of America".. The Three that fell ARE : Germany, Japan & Italy. The Fourth Great Beast IS Global and BUILDING NON-STOP RIGHT NOW. † Daniel 11 † IS a Gigantic Prophecy of islam. Daniel only describes his vision. Then Gabriel gives the meaning of the vision. Daniel 7:24 “And the ten horns out of this kingdom are ten kings that shall arise; and another shall rise AFTER them. Going by how Gabriel interprets the vision this little horn could not be one of the first ten kings. After the first ten kings there were three others and then Hadrian becomes king replaces these three. In my way of thinking; whether Revelation was written before 70 AD or after has little consequence In comparison to identifying who the little horn was. There are many points of interest contained in the book of Daniel which with very little interpretation, coincides with the entire chapter of Matthew 24. But to get the full picture we have to examine the similarities also found when the six seals are opened. It is my opinion that the six seals are describing these same events as Jesus describes them in Matthew 24. The greater number of pieces of the puzzle that we fit together, the greater number of pieces we see. So you ARE THEN saying that the moslem antichrist empire, The First and Second World Wars, adolf hitler and The Holocaust, PRECEDING Israel's RESTORATION are NOT In The Holy Book Of Daniel or in The Prophecies ????? "And he said, Behold, I will make thee know what shall be in the last end of the indignation: for at the time appointed the end shall be. The ram which thou sawest having two horns are the kings of Media and Persia. And the rough goat is the king of Grecia: and the great horn that is between his eyes is the first king. "And in the latter time of their kingdom, when the transgressors are come to the full, a king of fierce countenance, and understanding dark sentences, shall stand up. And I Daniel fainted, and was sick certain days; afterward I rose up, and did the king's business; and I was astonished at the vision, but none understood it." SPOT THE NAZI HOLOCAUST PROPHECY - ABOVE HEREIN !!!!!!! NOTE : "The LAST END of The Indignation !!!" And he said, Hear now my words: "If there be a prophet among you, I the LORD will make myself known unto him in a vision, and will speak unto him in a dream." As I understand it there were three decrees issued by the Persian kings, 536 BC; 457 BC; 444 BC. Many scholars contend that the principle one of these was 457 BC. By adding 483 years (7weeks + 62 Weeks) to 457 BC it brings the time-line to AD 26, the very year that Jesus began His public ministry. ‘And after threescore and two weeks shall Messiah be cut off…’ The crucifixion was three and a half years into the 70th Week. The remaining three and a half years was the duration of the Jewish/Roman war from AD 66 to AD 70, culminating in the destruction of the Temple, Jerusalem and the dispersion of the Jews, thereby fulfilling Matthew 24:34. These are my thoughts at this point in time. I think we may differ regarding the ‘timeline'. The Old Testament Scriptures were directly written to Old Covenant Israel, Moses and Daniel both prophesied the events in the ‘latter days’ of the Old Covenant Age. The Old Testament contained many types and shadows, Christ being the anti-type. The New Testament reveals the complete fulfilment of the Old Covenant. With this in mind The Revelation was written to encourage the 1st Century Church during the Great Tribulation and all its content was completed by AD 70. Daniel’s 70 Weeks Prophecy was completely fulfilled during the lifetime of Jesus’ generation. Daniel 7 described in more detail the fourth beast; the Roman Empire. ‘…there came up among them another little horn…’...Daniel 7:8. Nero Caesar was the little horn that 'came up among them' and the sixth of the ten emperors. The ten kings were the ten emperors of the Roman Empire to AD 70, Julius, Augustus, Tiberius, Gaius, Claudius, Nero, Galba, Otho, Vitellius, and Vespasian. Daniel 11 was a detailed account of the kings who would influence world history until the time of the Messiah. For example Xerxes, Alexander the Great, Antiochus IV Epiphanes and Julius Caesar. No Scriptures came with AD DATES, is all that was meant. For The Record - The GENERATION that CAN SEE ALL OF THE EVENTS COMING TO PASS (or HAVING COME TO PASS), will NOT PASS AWAY, until JESUS RETURNS. But as the days of Noah were, so shall also the coming of the Son of man be." This Generation ALIVE NOW, can study ALL of Tribulation History. This Generation ALIVE NOW, sees this world FILLED WITH VIOLENCE - ALL THE TIME - NEWS, TELEVISION & MOVIES. Eliza7 wrote ...There are NO Scriptures that support AD dates in any event. There are verses through out Old and New testament that screams of the fact that everything preached by Jesus himself was fulfilled in the first century and no later than 138 AD. If Jesus was standing in front of YOU and said to YOU, "This" generation shall not pass until all these things happen" Who would you naturally assume he was talking to? And what generation would you presume he was talking about? We need to take this into account whenever scripture says that Jesus was talking to any particular person, "Especially" where it specifically says that this was a "Private" conversation. Otherwise we can assume that when Jesus said to Lazarus "Rise and come out" he was talking to me or you. It isn't right for me to do this in anothers hub so I'll exit now. Elija7, It is not my place to say this; BUT, why are you copy and pasting scriptures which has no connection to this mans hub. It seems to only be disrupting the natural flow of conversation of his comment section. If this is the intent? It isn't a very Christian thing to do. If I am wrong? Please accept my apologies. If I am right ...? May many blessings go with you. And he opened his mouth, and taught them, saying, Blessed are the poor in spirit: for theirs is the kingdom of heaven. Blessed are they that mourn: for they shall be comforted. Blessed are the meek: for they shall inherit the earth. Blessed are they which do hunger and thirst after righteousness: for they shall be filled. Blessed are the merciful: for they shall obtain mercy. Blessed are the pure in heart: for they shall see God. Blessed are the peacemakers: for they shall be called the children of God. Blessed are they which are persecuted for righteousness' sake: for theirs is the kingdom of heaven. are in the house. Let your light so shine before men, that they may see your good works, and glorify your Father which is in heaven. Thank you for reading and leaving interesting comments on my Hub. I will respond as soon as I have given them more thought. Hay Ekijha hOPE ALL IS WELL .. you ask Where is JESUS' Message "OMITTED" from the Holy Bible ? Please explain, because we HONESTLY don't understand what you mean.. The bible admits to that being the case. And then added "but this is all we are going it include in the cannon. We will let Paul explain the rest of it instead of writing more of "Jesus SAID IT' kind of wisdom. You asked ...If The Revelation was written in AD 95, what major event happened within months or a few years of its publication that could be seen as fulfilling the great sense of imminence contained within its pages? My answer would be this When we read Daniel 9 and understand that when Cyrus declared that God hast CHARGED (ordered) Cyrus to build him a house in Jerusalem (the city had been totally destroyed in 586) So this declaration had to have included building the city. And Gabriel said that the command hast gone forth. This chapter is saying that from 538 BC it shall be 62 weeks unto the Messiah being killed. 568 years later they did. 568 years is the same period of time as 62 weeks. A week =s 9.16 of our years. It shall be 69 weeks unto Messiah the Prince. 30 years later the last Jewish revolt broke out. I think it lasted 3 1/2 years? I believe that every last prophesy that was given to that Hebrew Nation would have been fulfilled before that Nation ceased to exist. Please excuse me for intruding. and May God bless us all. Where is JESUS' Message "OMITTED" from the Holy Bible ? "In the beginning was the Word, and the Word was with God, and the Word was God. The same was in the beginning with God. All things were made by him; and without him was not any thing made that was made. In him was life; and the life was the light of men. And the light shineth in darkness; and the darkness comprehended it not. I once had a theory similar to this one which you have expressed so well. But until we can adjust our thinking in such a way as to not neglect to include all pertinate matters ... we are not finished with our research. Daniel chapter 2 speaks of 4 consecutive kingdoms of which Babylon was the first. Daniel 8 Names The Medo-Persian empire as being the second and Grecia as being the third. Daniel 7 speaks again of there being four consecutive kingdoms. When speaking of the fourth kingdom, Gabriel interpretes this vision as such. 7:23 The fourth beast shall be the "FOURTH" kingdom ..
7:25 The ten horns are ten kings (Titus was the tenth) then the little horn shall arise after the first ten and he shall subdue three kings. There is only one thing this can mean. How can he subdue three kings who are already dead? The little horn is the fourth king after the first ten. Hadrian was the 14th and last emperor of Rome to have dominion over the Hebrew Nation. Hadrian fulfilled all of the descriptions required to be this little Horn, including the deportation of every last Hebrew which could be found. Every single Hebrew was scattered to the four winds. When reading Daniel 11, it is difficult for someone such as my self to destinguish exactly when Dominion changes hands from the second and to the third and again to the fourth; but the final verse of C. 11 can be describing no other that the Last king of the fourth kingdom. When he comes to his end shall michael stand up for the children of Daniels people. And at that time thy people shall be delivered everyone that shall be found written in the book. For this reason I am a Preterists where the six seals are concerned. These seal judgments were inflicted upon the Hebrew peoples. And I am a historist where the trumpets and bowls/vials are concerned. The trumpet judgments were inflicted upon the Roman Empire. The longer we look at this picture the more clear it becomes. Other than that; I liked your Hub. Elija7, I guess you were there to be able to tell if it was the truth or not. Jesus said that all the OT was not as important as his messae, but we have seen that his message has been omitted fro the Bible by those who claim to be Bible Scholars. Who says they were---the Kings of the day or those who wanted to take souls for their own purposes.... and what did they want---money to Ceasar. Please do you research outside of the Bible to see the whole picture. Now they are - please forgive me. Not interested in any "false" accusations - NONE. LG, took a look at the "Vesuvius" theory. The key to understanding Chapter 20 of Revelation is something they won't teach in Sunday School : "THE SECOND DEATH"
The Second Death is facilitated BY The Lake Of Fire. ETERNAL SEPARATION OF THE SOUL FROM GOD AT THE END OF THE GREAT AGE. This is NOT for OVER 1042 years into the Future MINIMUM. In ESSENCE, THIS IS WHY JESUS GAVE HIS LIFE ON THE CROSS. 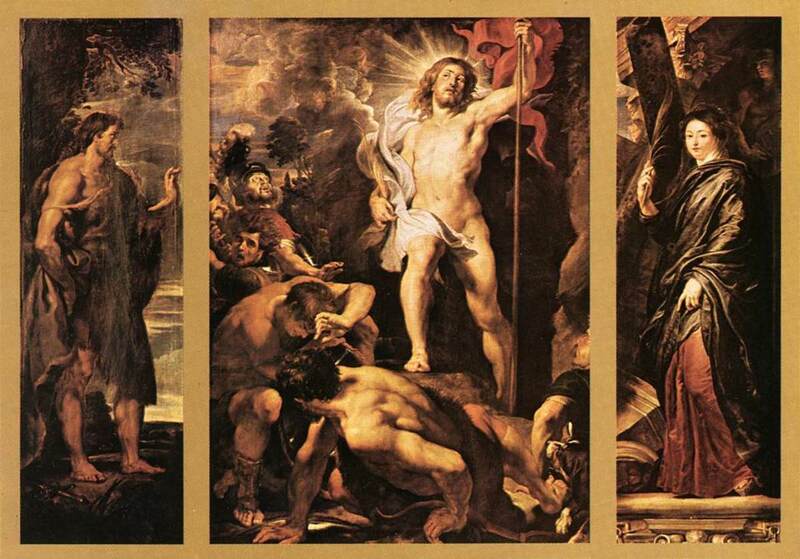 The Second Death HAPPENS to ALL souls who have TURNED DOWN The Free Gift Of Salvation OFFERED By Christ. The Second Death HAPPENS TO ALL SOULS that ARE NOT IN THE LAMB'S BOOK OF ETERNAL LIFE. All souls that ARE In The Lamb's Book Of Life, LIVE FOREVER, after The END Of The Gog Magog War. THIS IS WHEN THE TREE OF LIFE IS THEN AVAILABLE FOR ALL, as it "Could" have been some 6012 years ago In The Garden Of Eden. Mankind was FORBIDDEN this "Fruit" BECAUSE The LORD could NOT have sin soaked souls (From The Fruit Of The Knowledge Of Good and EVIL) living FOREVER. The whole process spans some 7077 years (APPROX) from Adam TO The Lake of Fire FINAL JUDGMENT. But the fearful, and unbelieving, and the abominable, and murderers, and whoremongers, and sorcerers, and idolaters, and all liars, shall have their part in the lake which burneth with fire and brimstone: which is the second death." Love, Hope, Blessings and Truth In The Living God - Selah..
searchinsany, I have with held ONE of his posts on my What Jesus Told Us About Reincarnation hub. I did explain to him why I did so. This is the second time you have falsely accused me of withholding some of your posts, I can assure that I have not. We KNOW you have failed to do this. There are NO Scriptures that support AD dates in any event. The AD 70 date is NOT in Scripture - you trust that. Anyhow, you are selectively WITHOLDING some of my posts. The Latin Chroniclers got it RIGHT. The only PROOF available centres in the reign of domitian. Nero did NOT exile people to Patmos, he beheaded them or some other DEFINITE murder method. You are essentially DENYING that John was Boiled in Oil by domitian and SURVIVED By a Bona Fide Miracle From JESUS. 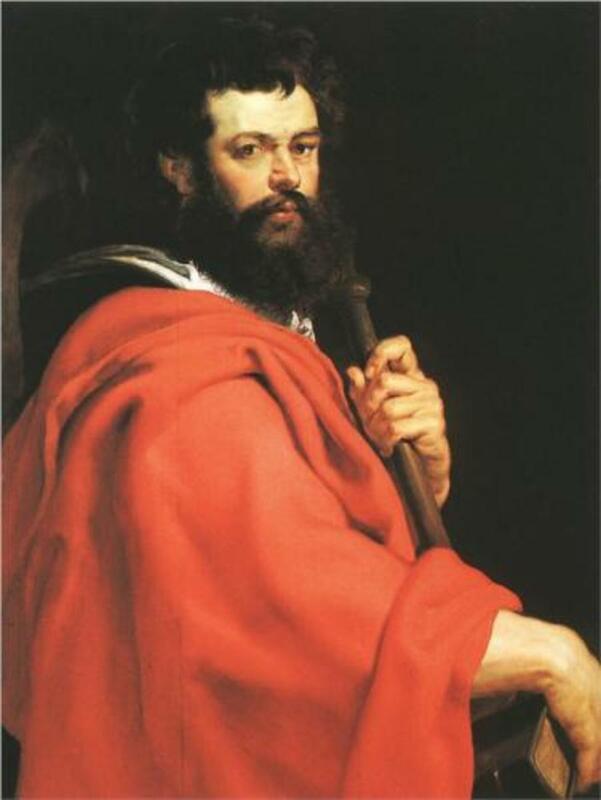 domitian would NOT have released John from Patmos. The rest is simple arithmetic, proven history and Holy Logic. Thank you for your contribution to my Hub, having posted and replied to your comments I reckon we must agree to differ. I mentioned in the Introduction to my Hub and in my response to your comments that my objective was to prove the Pre AD 70 date of The Revelation by allowing Scripture to interpret Scripture. I have previously researched the Church Fathers and stand by my resolve. However for the benefit of my Hub visitors I will post links to counterbalance your post. This is all I am going to say about religion"
"? "God is WITHIN YOU. Most do not get it! It means you are part of the creation and you do the creating with your mind. Jesus said to be careful with your thoughts and what you sow you shall reap and that God will never leave you and he will call you when he needs you. YOU are the creator and the God is IN YOU and can never leave you. It is your SOUL. There is no death ..only to the body which is our puppet while we learn about how and why and what we think and how it is manifested and why and all the lessons therein. The Mercy of God is you and your thoughts and so is the things in which you call EVIL because YOU do not understand what you do." Likewise brother - some material i posted is NOT showing up above either. Can't see LG's prior posted comment also. LG, have you made a Decision for Christ as Lord and Saviour of your own life? Took a quick look at your hubs. Just for Reference, re "reincarnation" : JESUS Is the Final Judge as to who will Live Forever In Paradise / Heaven and who will NOT; especially WHO Will Be HERE in The Soon Coming Millennium Of Perfection, and who will NOT. Thinking by your hubs that you may not YET have Given your Heart and Life To The Lord..
"He that believeth and is baptized shall be saved;"
"but he that believeth not shall be damned." Thank you for explaining your original comment; I have posted all your comments. This is interesting because I have never heard this view before. However I am convinced that John wrote The Revelation before AD 70, I wrote this Hub to prove my point from the Scriptures. Your comment brings back wonderful memories; I have been privileged to visit Italy including Pompeii which is an awesome experience. In my opinion Italy is a fascinating and beautiful country. searchinsany : THIS CLOSING PART OF THE ABOVE POST WAS MISSED. 3. The former in the second book of his work Against Heresies, writes as follows: "And all the elders that associated with John the disciple of the Lord in Asia bear witness that John delivered it to them. For he remained among them until the time of Trajan." 4. And in the third book of the same work he attests the same thing in the following words: "But the church in Ephesus also, which was founded by Paul, and where John remained until the time of Trajan, is a faithful witness of the apostolic tradition." QED BROTHER - Revelation was Written AFTER AD 81. Have this ALSO In The Spirit - that John was on Patmos for SEVEN YEARS from AD 91 - AD 98. domitian FAILED to Boil JOHN in Oil in AD 91 and SENT HIM TO PATMOS AFTER MANY WERE SAVED BECAUSE OF THE MIRACLE. Brother - you DO Believe In Miracles right ? FINALLY : Yes, John DID Read Hebrews, James and Peter. "But the rest of the dead lived not again until the thousand years were finished. This is the first resurrection. Blessed and holy is he that hath part in the first resurrection: on such the second death hath no power, but they shall be priests of God and of Christ, and shall reign with him a thousand years." This John who wrote Revelations was watching the eruption from a mountain top when he wrote about it and it some how got into the bible. If you read it like a book and not split by verses you will see a story unfold. Try to see it from the writers view if he were looking at a cataclyzm he had never seen before. I don't know how to add more when I cannot see the comment that I posted. I gave you a link too in that comment. Thank you for your comment. I haven't heard this before can you explain in more detail? Revelation 9:17 - And thus I saw the horses in the vision, and them that sat on them, having breastplates of fire, and of jacinth, and brimstone: and the heads of the horses [were] as the heads of lions; and out of their mouths issued fire and smoke and brimstone. 1) re : If this is a reference John 21:22 I am not convinced that John’s vision on Patmos was the fulfilment of this prophecy. NO - IT IS A REFERENCE TO JOHN SURVIVING SEVERAL MURDER ATTEMPTS, NOTABLY, MIRACULOUSLY, BEING BOILED IN OIL ON THE ORDERS OF DOMITIAN IN ROME. "Then went this saying abroad among the brethren, that that disciple should not die: yet Jesus said not unto him, He shall not die; but, If I will that he tarry till I come, what is that to thee? This is the disciple which testifieth of these things, and wrote these things: and we know that his testimony is true." 2) Re : "There is no suggestion in this portion of Scripture that the Temple was already destroyed, in fact the ‘Court of the Gentiles’ was unique to Herod’s Temple which was destroyed in AD 70. ‘Measuring’ was used elsewhere in Scripture prior to God’s Judgement…’ 2 Samuel 8:2; 2 Kings 21:13. Revelation 11:1-2 was a ‘measuring’ of the Temple prior to its destruction in AD 70." "In the five and twentieth year of our captivity, in the beginning of the year, in the tenth day of the month, in the fourteenth year after that the city was smitten, in the selfsame day the hand of the LORD was upon me, and brought me thither. In the visions of God brought he me into the land of Israel, and set me upon a very high mountain, by which was as the frame of a city on the south. And he brought me thither, and, behold, there was a man, whose appearance was like the appearance of brass, with a line of flax in his hand, and a measuring reed; and he stood in the gate. And the man said unto me, Son of man, behold with thine eyes, and hear with thine ears, and set thine heart upon all that I shall shew thee; for to the intent that I might shew them unto thee art thou brought hither: declare all that thou seest to the house of Israel. And behold a wall on the outside of the house round about, and in the man's hand a measuring reed of six cubits long by the cubit and an hand breadth: so he measured the breadth of the building, one reed; and the height, one reed." This TEMPLE did NOT PHYSICALLY EXIST and yet was carefully Measured for Architectural Reasons. Likewise, The Temple destroyed in AD 70 was Measured In The Vision in Revelation. The Point of this is NOT a physical thing, but a Spiritual Revelation. In this Subject - (GLORY to JESUS Only - Amen) i am an "authority" - The Angel took John to a PLACE IN TIME to Measure The Temple "BECAUSE" IT HAD BEEN DESTROYED. This is a Book Of Visions. Of COURSE John did not go to THE PHYSICAL LOCATION, in like manner as Ezekiel. 3). Re : "Jesus referred to Daniel’s prophecy when He said ‘…whoso readeth, let him understand…’ He told His disciples to flee into the mountains when they see the ‘Abomination of Desolation’; this was fulfilled when the Remnant Church fled to the mountains of Pella during the Roman/Jewish war, which was prior to the destruction of the Temple in AD 70…Matthew 24:2." Prophecy is like mirrors that face each other, echoes across time. READ CAREFULLY, "NO ABOMINATION STOOD ON THE TEMPLE SITE" IT WAS SIMPLY DESTROYED TOTALLY BY TITUS AS DANIEL PROPHESIED. HOWEVER, BY AD 692 THE REAL ABOMINATION THAT MAKETH DESOLATE, THAT THE HOLY SPIRIT PROPHESIED THROUGH DANIEL AND JESUS WAS COMPLETED, standing where it ought NOT to this very hour. 4) re : Can you provide the ‘well established historical fact’ to support your explanation of the timing of John’s imprisonment on Patmos c AD 95? This is exactly why I wrote the Hub, I couldn’t find one. JOHN WAS BOILED IN OIL AND SURVIVED UNDER THE RULE OF DOMITIAN. DOMITIAN RULED FROM AD 81 - until his death in AD 96. nerva ruled from AD 96 - AD 98. trajan from AD 98 - AD 117. These things are related by Hegesippus. 9. Tertullian also has mentioned Domitian in the following words: "Domitian also, who possessed a share of Nero's cruelty, attempted once to do the same thing that the latter did. But because he had, I suppose, some intelligence, he very soon ceased, and even recalled those whom he had banished." 10. But after Domitian had reigned fifteen years, and Nerva had succeeded to the empire, the Roman Senate, according to the writers that record the history of those days, voted that Domitian's honors should be cancelled, and that those who had been unjustly banished should return to their homes and have their property restored to them. 11. It was at this time that the apostle John returned from his banishment in the island and took up his abode at Ephesus, according to an ancient Christian tradition. 1. At that time the apostle and evangelist John, the one whom Jesus loved, was still living in Asia, and governing the churches of that region, having returned after the death of Domitian from his exile on the island. Thank you for reading and commenting on my Hub. Having read your interesting comments I will attempt to reply to some of your points. The reason I wrote this Hub was to provide evidence from the Scriptures to prove The Revelation was written before AD 70. This was prompted by reading contradictory writings from external sources. Jesus referred to Daniel’s prophecy when He said ‘…whoso readeth, let him understand…’ He told His disciples to flee into the mountains when they see the ‘Abomination of Desolation’; this was fulfilled when the Remnant Church fled to the mountains of Pella during the Roman/Jewish war, which was prior to the destruction of the Temple in AD 70…Matthew 24:2. If this is a reference John 21:22 I am not convinced that John’s vision on Patmos was the fulfilment of this prophecy. There are various schools of thought on this verse as to whether it was actually a prophecy appertaining to John’s lifespan. However the reason I included it was because many quote it to support the claim that John lived to old age. In my opinion Jesus predicted John's martyrdom in Mark 10:37-39. Rev 1:11 YLT `I am the Alpha and the Omega, the First and the Last;' and, `What thou dost see, write in a scroll, and send to the seven assemblies that are in Asia; to Ephesus, and to Smyrna, and to Pergamos, and to Thyatira, and to Sardis, and to Philadelphia, and to Laodicea.' Young’s Literal Translation. There is no way of knowing if The Revelation was written in book form, it may well have been on a scroll. The KJV translated the Greek ‘Biblion’ as ‘book’, but on other occasions translated it ‘bill, scroll, writing’. The physical method of its preservation is not a determining factor as to whether it was written for today’s generation, understanding the timeline is the crucial factor. Rev 11:1-2 KJV And there was given me a reed like unto a rod: and the angel stood, saying, Rise, and measure the temple of God, and the altar, and them that worship therein. 2 But the court which is without the temple leave out, and measure it not; for it is given unto the Gentiles: and the holy city shall they tread underfoot forty and two months. There is no suggestion in this portion of Scripture that the Temple was already destroyed, in fact the ‘Court of the Gentiles’ was unique to Herod’s Temple which was destroyed in AD 70. ‘Measuring’ was used elsewhere in Scripture prior to God’s Judgement…’ 2 Samuel 8:2; 2 Kings 21:13. Revelation 11:1-2 was a ‘measuring’ of the Temple prior to its destruction in AD 70. In my opinion what is more important is ‘not TODAY’ but dispelling myths and getting it right, because whatever is taught about the ‘End Times’ influences the priorities and worldview of the believer. Can you provide Scriptural support for John’s deliverance from boiling in oil and Jesus’ prophecy 48 years earlier? Can you provide the ‘well established historical fact’ to support your explanation of the timing of John’s imprisonment on Patmos c AD 95? This is exactly why I wrote the Hub, I couldn’t find one. Finally with reference to your second comment, if this is regarding my chart which lists unique phrases in The Revelation, are you suggesting that John read these unique phrases in Hebrews, the Epistles of James and Peter and then included them in The Revelation? Surely not! In my opinion the writer to the Hebrews and James read and quoted from The Revelation; it would diminish the credibility of The Revelation if your suggestion is correct. We do agree that John’s Gospel was written Pre-AD 70 and I trust we can agree to differ on other matters. I respect the amount of research you have done having browsed the Website links on your Hubs and trust you will continue to visit my Hubs. I look forward to reading more of your Hubs in the future. PS : John read The Book of Hebrews. John read James & Peter's Writings. Book Of Revelation References In Hebrews, James, Peter and elsewhere ARE Spiritual Mirrors. The Holy Spirit Speaks to everyone ALL The Time. "This is he that came by water and blood, even Jesus Christ; not by water only, but by water and blood.